Philanthropist Steve Tisch, co-owner of the New York Giants and an Academy Award–winning film producer, has pledged $10 million to the department of neurosurgery at the David Geffen School of Medicine at UCLA for the BrainSPORT Program, which has been renamed the UCLA Steve Tisch BrainSPORT Program. Due to be announced by President Obama Thursday at a White House summit on youth and sports concussions, the new funding — the single largest gift from an individual to a medical center for a concussion-related initiative — will enable UCLA to create the first U.S. fellowship program to train pediatric neurologists who specialize in sports concussions, and establish the world’s most sophisticated research, prevention, diagnosis and treatment program for concussions and brain injuries, with a particular emphasis on young athletes. "As the father of children who are athletes, and as an NFL owner, I greatly value the positive role that sports play in people’s lives and am personally concerned about sports concussions," said Tisch. "UCLA runs one of the best youth concussion programs in the nation, and I’m honored that my gift will allow the program to accelerate and expand its efforts to help kids, parents and coaches understand how to prevent and treat concussions and enjoy the sports that they love." The BrainSPORT (Brain Sports concussion Prevention Outreach Research and Treatment) Program was founded in 2012 by UCLA’s Dr. Christopher Giza, who is scheduled to participate in the White House briefing. Integrating the expertise of clinicians and scientists at the UCLA Brain Injury Research Center and in pediatric neurology, neuropsychology and sports medicine, the program provides research-based treatment for sports concussions in school-age to professional athletes. "Mr. Tisch’s generous gift will be an enormous game-changer, enabling us to create diagnostic tools customized to younger athletes," said Giza, who is a professor of neurosurgery and pediatric neurology at the Geffen School of Medicine and UCLA Mattel Children’s Hospital. "Currently, young athletes are assessed with adult tests — but kids aren’t little adults. With the right diagnosis and personalized care, kids can recover completely from concussion." Tisch’s funding targets an issue of growing concern among parents and coaches. Concussion affects boys and girls in multiple sports, including football, ice hockey, basketball, soccer and even cheerleading. According to recent studies, the average high school football player sustains 652 hits per season. 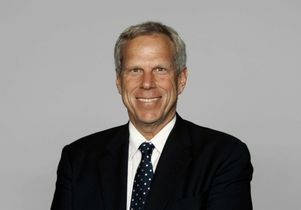 "We salute Steve Tisch for his leadership in addressing a critical challenge that extends well beyond competitive sports," said Roger Goodell, commissioner of the National Football League. "Steve’s commitment to this issue and his partnership with UCLA significantly complement the work being done in this area by his fellow NFL owners. Together, they are creating new resources to help accelerate progress in the prevention and treatment of head injuries. We look forward to supporting Steve and UCLA in this important mission." The UCLA Steve Tisch BrainSPORT Program will establish the world’s most advanced diagnostic and treatment program for athletes who have suffered concussions and use the latest techniques in brain imaging, molecular biology and neuro-engineering to understand the connection between concussions and long-term brain disease. UCLA will open an additional concussion clinic on the Westwood campus and will create the nation’s first pediatric neurology fellowship to train specialists to diagnose and treat sports concussions in young patients. The program also plans to launch a comprehensive education, training and prevention initiative using telemedicine; a mobile concussion-assessment unit; an integrated network of concussion providers, from athletic trainers to specialists; and educational sessions on campus, with a focus on students from low-income communities. "Concussions are a key issue for many sports and a great source of concern for players, parents, coaches and physicians," said Dr. Neil Martin, chairman of neurosurgery at UCLA. "Steve Tisch’s transformative gift offers a dramatic leap forward for the science and medical care in this field. Together we will build partnerships at the national level to ensure athletes everywhere benefit from this program. "By investing in the future of youth sports medicine, the UCLA Steve Tisch BrainSPORT Program will provide the same exceptional care that is standard for professional athletes to young competitors in all sports, regardless of background or access to resources," Martin added. "Steve isn’t just talking and worrying about the issue at hand; he’s stepping up to do something about it." Tisch’s distinguished history of philanthropy to UCLA includes longstanding support for the department of neurosurgery, and the Tisch Family Children’s Terrace at Mattel Children’s Hospital. His current gift is part of the Centennial Campaign for UCLA, a $4.2 billon fundraising drive scheduled to conclude in 2019, the university's 100th anniversary. As a businessman, Tisch comfortably straddles the worlds of sports and entertainment. He is co-owner, chairman and executive vice president of the NFL championship–winning New York Giants. A partner in the production firm Escape Artists, Tisch earned a best picture Oscar for "Forrest Gump," and his other film-producing credits include "The Pursuit of Happiness" and "Risky Business." He is the only person to earn both an Academy Award and two Super Bowl rings. The UCLA Steve Tisch BrainSPORT Program currently partners with two Division I NCAA teams, two large high schools and three professional sports organizations, including the National Football League. The program’s physician–scientists contributed to both the American Academy of Neurology and the Centers for Disease Control and Injury Prevention recommendations for concussion treatment, and they follow these protocols in caring for young athletes. The center participates in the multi-institutional National Sports Concussion Outcomes Study, which is following athletes of all ages after injury and is investigating neuroimaging and neuropsychological links to symptoms after traumatic brain injury. The UCLA Department of Neurosurgery is committed to providing the most comprehensive patient care through innovative research and clinical programs in traumatic brain injury; minimally invasive brain and spinal surgery; neuroendoscopy; neuro-oncology for adult and pediatric brain tumors; cerebrovascular surgery; stereotactic radiosurgery for brain and spinal disorders; surgery for movement disorders such as Parkinson's disease; and epilepsy surgery. For 22 consecutive years, the department has been ranked among the top neurosurgery programs in the nation by U.S. News and World Report, including No. 1 in Los Angeles and No. 2 on the West Coast. UCLA Mattel Children's Hospital, one of the highest-rated children's hospitals in California, is a vital component of Ronald Reagan UCLA Medical Center, ranked the fifth best hospital in the nation and best in the western United States by U.S. News and World Report. Mattel Children's Hospital offers a full spectrum of primary and specialized medical care for infants, children and adolescents. The hospital's mission is to provide state-of-the-art medical and surgical treatment for children in a compassionate atmosphere and to improve the understanding and treatment of pediatric diseases.